Renowned boxing patron Tony Aldeguer has expressed his delight over the fact that former two division world champion Brian Viloria will fight undefeated pound for pound No. 2, WBC flyweight champion Roman “Chocolatito” Gonzalez of Nicaragua at Madison Square Garden on October 17 and has offered WBO light flyweight champion Donnie “Ahas” Nietes as a sparring partner. Aldeguer told the New Standard/boxingmirror.com that Nietes will be training in the US in preparation for his November title defense in Bacolod City and the two Filipino boxers can help each other. The moving spirit behind the ALA Gym said Nietes will train in Los Angeles because well-known strength and conditioning coach Nick Curson will also be working with the Pagara brothers, Prince Albert and Jason as well as the electrifying Mark “Magnifico” Magsayo who will all be featured in ALA Promotions initial US promotional venture at the StubHub Center on October 17. 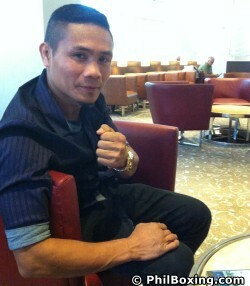 Aldeguer said he would be happy to have Nietes spar with Viloria which would be mutually beneficial for both fighters. There was talk some time ago that Nietes would move up in weight and go after the WBC flyweight title of the Nicaraguan but since he has no problem making the light flyweight limit, Nietes decided to remain at 108 pounds where he is the longest reigning Filipino world champion. Aldeguer informed us that Jason Pagara who was cut on both eyes in his clash with Mexico’s Ramiro Alcaraz was accompanied by trainer Edmund Villamor when he visited Dr. Roy Lastimosa who had a total of eight stitches on Pagara’s left eye, three on the top and five at the bottom on Monday. Villamor told the New Standard/boingmirror.com that the doctor doubled the stitches so it would be strong. At the same time Dr. Lastimosa cleared Jason to fight on October 17 in the US. The Pagara brothers, Prince Albert who has moved up to No. 10 in the WBC super bantamweight rankings and Jason who is No.2 in the WBO junior welterweight rankings will visit ABS-CBN, the broadcast network that telecast the “Duel in Dubai II” on “Pinoy Pride 32” in cooperation with ALA Promotions on Thursday.